We reached Navi Mumbai early in the morning, and decided that we would check the city out till the afternoon, when we’d have to get back here for the initiation of the Vipassana course. 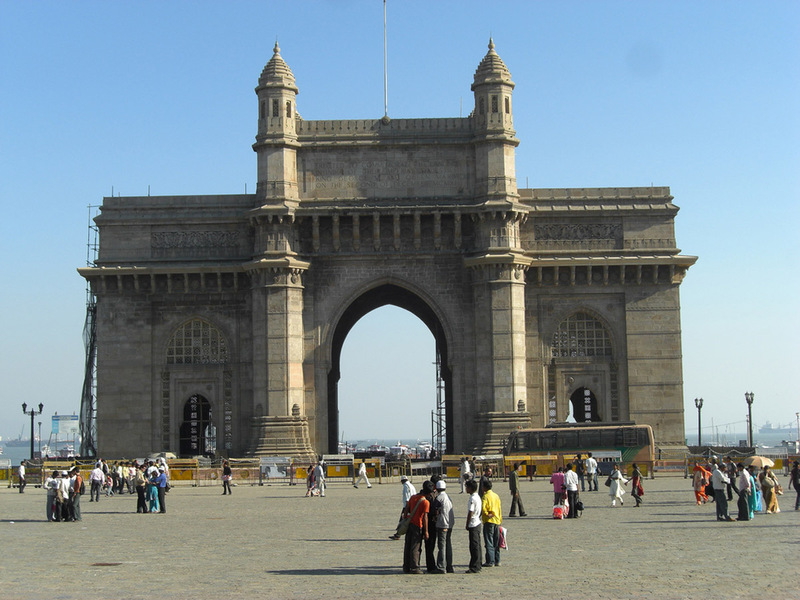 We headed to the south of the city, and started our tour at the Gateway of India. Step Right Through this Way! I appointed myself the unofficial tour guide to Kate and Alëna, having a very limited first hand knowledge of the city myself, nevertheless I got by with my gumption and my command over the Hindi language. 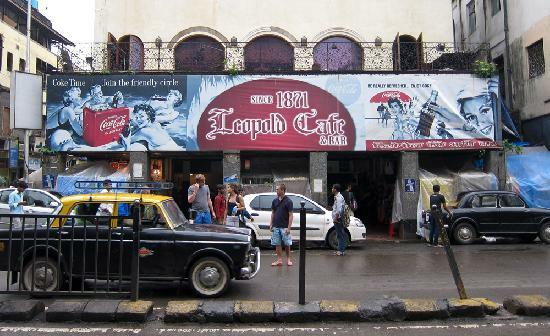 We had lunch at the iconic Leopold Café, Mumbai’s oldest and most prestigious joint, target of the 26/11 terror attacks. This bit of info brought a solemn expression on the faces of the two girls from Russia, a look that was soon dispelled when the cheesecake came! Having spent an entertaining morning and noon in Mumbai, where I also managed to break a guitar string, busking on the street for my two international guests and a crowd of curious Mumbaikars, we decided that we must get into the solemn vibe of the course we were to undertake, and we proceeded to the outskirts of Mumbai – Belapur, where the Ashram is located. Wonder of wonders! The wheel of Dhamma has come full circle, and the Ashram have accepted me to be initiated as a Vipassana Yogi, against all odds and expectations, as nobody normally gets in with such short notice, having practically just clambered up Parsik Hill and turned up on the ashramstep! I surrendered my phone, my laptop, and books. All I have are my clothes and shades and a brain brimming over with inquisitive tirades of lateral thought. I am thrilled to be a part of something that I now realise was in my path somewhere down the way sooner or later, the culmination of my Karmic existence in this plane. It has been great having you, the reader, along with me on my travels up the West Coast. Now I seek solitude for the length of ten days, that I am sure will change my life. I ask you to bear with me, and to watch out for the rest of this series, when I complete this rigorous Sadhana and proceed as planned, to the Mystical Northern country of Nepal! Until we cross paths again, fellow travellers!